In the summer of 2018, in the same week, pickleball graced both the front page of USA Today and Kim Kardashians’ Instagram story. Yes, USA Today got the spelling correct which can sometimes be a rare thing in media, but Kim shared that she was playing Pickle Ball (incorrect spelling) to her 114 million followers. The sport is very grateful for this exposure, but hey let’s spell pickleball correctly, pretty please. Through the years I’ve seen many spelling variations for our sport: Pickle-Ball, Pickleball, PickleBall, pickle ball, Pickle Ball, pickle-ball and pickleball (the last one is correct!). Sadly, still today some folks who passionately promote the sport misspell its name. It doesn’t help that on Apple’s iMessage the word pickleball auto corrects to pickle ball – yes with a space – and on some phones it “suggests” it as one word yet capitalizes it. Since pickleball began in 1965, many reporters use/used “Pickle-Ball” to describe the sport, but “Pickle-Ball” actually is the spelling of the company that Barney McCallum and others started. It is likely that reporters and writers of the early articles, having no other references, simply used this spelling in their stories for the game itself. As time went on, writers and players took artistic liberty using variations. It wasn’t until USAPA (USA Pickleball Association) began to organize the sport that “pickleball” emerged as the proper spelling. Here’s a great article written by Lynn and Linda Laymon for the USAPA Newsletter in 2012 to set the record straight. Now you can spell the sport correctly and share this information with all your pickleball friends to make sure they do the same! Ready? 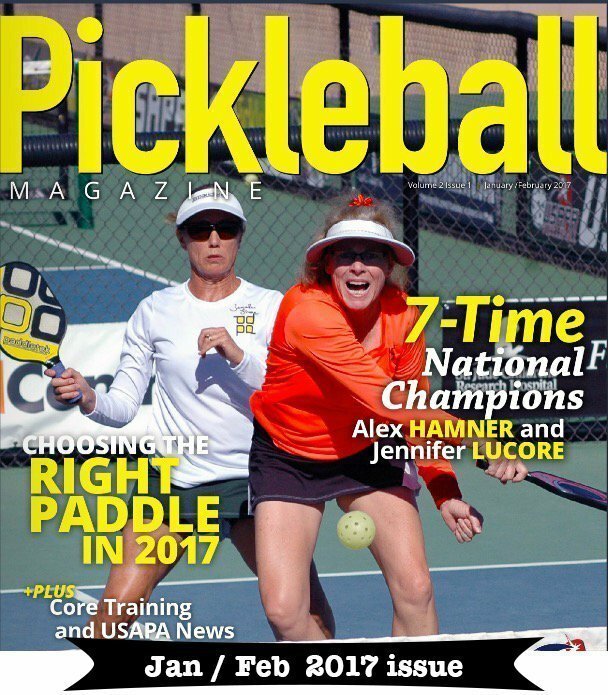 We all love pickleball no matter how we spell it, but there is a right way and several wrong ways. When referring to the sport, the correct term is “pickleball.” It is one word, not hyphenated and not capitalized. In the past, we may have capitalized the name to give the sport the implied significance of a proper noun. Today, however, pickleball has grown enough to be considered part of the English language and therefore standardization is most important. As we have grown, so has the number of companies selling pickleball paraphernalia. Most of these use some form of the word pickleball and some have even copyrighted their names. The simple term ‘pickleball’ is generic and cannot be copyrighted. 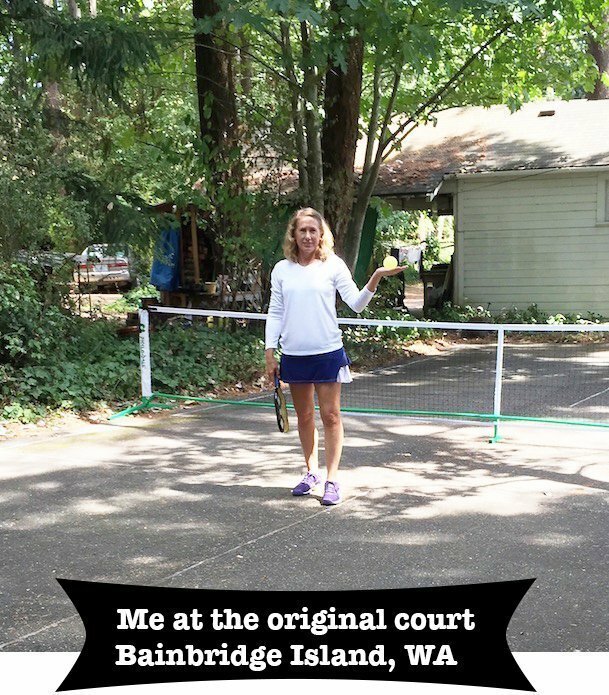 Excerpts of this blog post are also in the newly published book: History of Pickleball – More Than 50 Years of Fun! Hi Jennifer, with all due respect, I don’t believe that capitalizing the ‘P’ or the whole name ‘PICKLEBALL’ is incorrect spelling. Yes, the USAPA may have set a standard for showing the name but if it has not been copyrighted, then maybe that is where the mistake lies. I’m surprised that the name has not been copyrighted by either the USAPA or the founders at the time. It is the proper name of a sport and no one else should use that name for another purpose. Is Tennis not copyrighted or is that considered a generic term as well? If I started a Tennis or Pickleball organization with a completely different purpose altogether, would that be acceptable? If you are correct, that ‘pickleball’ is just a generic term, then I don’t see the problem with using Pickleball in that case. It’s Kim Kardashian after all, what can you expect? When I’m texting to my pickleball friends and arranging round robins and night games I use the term pball for short. The text automatically capitalizes the P whether it be pball or pickleball. So yes, let them get with it and spell it correctly. I took a clinic with you at Palm Creek in Casa Grande, AZ this year. It helped me tremendously in all aspects of the game. So thank you very much!!! I hope you return to Palm Creek next year to offer your expertise. I will be on your sign up list. Thanks for all the tips on your blog. I look forward to your emails.